So many of the abuse survivors I work with must fight their former abusive partners for custody of their kids in Family Court. The stories I’ve heard would turn your hair. It seems incomprehensible to the average person why a judge would give custody of innocent children to an abuser, yet it happens every day in Family Court. Often, the abuser is given the majority of custody, while the abuse survivor must see their child only on every other weekend, or only under supervision. This is something I’ve written about many times. Click here for other articles on this subject. I’m not going to talk today about why the courts are this way, or what we can do to change them. Instead, I’m going to talk about how you can protect yourself and your kids if you must face your child(ren)’s abusive parent in court. These ideas are taken from my book A Journey to Healing After Emotional Abuse. Because courts tend to be biased against women,* do everything you can to present yourself as a well-balanced, caring parent. Be careful what you say in front of anyone from the court, including lawyers, judges, custody evaluators, Social Services, and police officers. You know your ex’s character and parenting are lacking, but talking about this in your custody case will not serve you well. Be able to articulate why your ex’s past abuse makes you afraid for your children. Focus on their well-being. Try to help the court gain an understanding of your abuser’s mental and emotional state, as well as the long-lasting effects this has had and is having on your children. This will help eliminate the court’s perspective that you are “out to get” your ex or are a silly paranoid woman. Although a recent study** found fathers were three times more likely than mothers to attempt to alienate their children, most court personnel still believe mothers are the ones who lie and try to keep helpless, loving dads away from their children. Because of this, the court may dismiss any report you make of abuse your ex perpetrates against your children. Even if your children report their father has sexually abused them, the court may not believe them. Do everything in your power not to appear to be alienating your children. If you must make a report, focus on the well-being of your children, not on the poor character of your ex. Letters or personal testimony from teachers, coaches, pastors, counselors, or anyone who might have knowledge of things your ex has done or said to your children. Any or all will help you demonstrate his abuse is not just your word against his. Keep a record of your children’s lives in a notebook. Write down everything that happens, along with the date and time it happened. Write when you or your ex dropped off or picked the children up, along with any communication you had with your ex (text, email, phone, or in person). Print off any emails you’ve received, and/or take a screen shot of any text messages you get. Write about any time you spoke to your kids over the phone while they were with your ex. This record will be invaluable to you during a possible custody battle. You will have proof, in your own handwriting, of everything that you and your ex have done or not done for and with your kids. He will be less likely to accuse you of bad parenting if you have this complete record. Every court district and officer of the court has its own prejudices. On the Internet, you can find the ruling record of the judges in your district. You can ask the domestic violence advocates at your local women’s crisis center what other victims have experienced in family court. Are some judges more helpful to women; are there others you will want to avoid at all costs? Is there one lawyer who consistently wins his hearings before these judges? The better prepared you are, the better your results might be. Custody evaluators are sometimes called guardian ad litems, child and family investigators (CFIs), or child advocates. These are lawyers or mental health practitioners assigned by the court or hired by the divorcing parents to decide how much custody each parent should receive. Unfortunately, most of these evaluators are not domestic violence advocates and therefore often make the same incorrect assumptions judges make in these cases. They will often interview each parent and decide custody based on which parent seems most truthful. If they are mental health practitioners they may also give each parent a psychological evaluation. The problem with these methods is that abusers have the ability to look mentally healthy to outsiders, i.e., to those they aren’t abusing. They can appear charming, intelligent, and caring. Abused women, on the other hand, often appear angry, depressed, and/or suffering from PTSD. Because of this, the custody evaluator may decide you are the person with the problem; they see you as less stable, and thus a less fit parent. In his book When Dad Hurts Mom, Lundy Bancroft recommends you not request or accept a custody evaluator on your case unless you know who the evaluator will be and how this person has dealt with other abuse cases. Bancroft writes that custody evaluators often lull you into a false feeling of security when they meet with you. You might think with a professional looking at your case your children will be more protected. This may or may not be true. Here is my story as an example. Our custody evaluator came to my house to meet my children and me. She was a very sweet Christian woman, and I was made to believe she was my friend. This was a bad mistake on my part. I told her things about my insecurities as a mother, and I had not been a perfect wife. These words came back to haunt me during the final orders of our divorce. Another error I made was not putting on a show for her. I allowed my kids to go about their business while I talked to her. I found out later my ex had engaged in a “rousing game of Boggle” with our kids when she visited his apartment. This led her to believe he was more of a “hands-on parent” than I was. Later, I was told I should have treated the custody evaluator’s visit like a house showing and pulled out all the stops! So my conclusion is: impress the heck out of the custody evaluator! Let them see your strengths as a parent. Also, anytime you speak to anyone from the court, less is more. Keep things close to the vest. Better for them to have to ask more questions than for you to divulge too much. Bancroft recommends you have your lawyer with you anytime you speak to your custody evaluator. He says many evaluators will try to dissuade you from doing this, saying they just want to have a “friendly talk.” Many lawyers are reluctant to attend because the evaluators sometimes get irritated. But he says the reason evaluators don’t like having an attorney present is they know they will have to be much more professional about what they do and will not be able to intimidate or manipulate you. If you have no lawyer, or decide not to include him/her when you meet with the evaluator, remember, your evaluator is not your friend. She is there to decide whether you can keep your children. This is serious. Plan out her visit as if the happiness of your children depends on it. Impress her with your housekeeping skills and the level of love and attention you give your children in her presence. Do not say anything negative about your ex (or your children) to her. 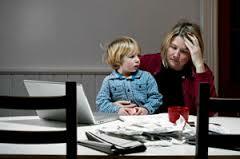 Present any concerns you have about him in terms of concerns you have about your children. Also, remember to say “our children” instead of “my children.” This will give the evaluator the impression you are willing to work with your ex in the best interest of your kids. I know a counselor who has worked with custody evaluators who have been good advocates for the children in such cases. I pray that would be your experience. Currently, judges in family court rely on custody evaluators who have little training in domestic violence. Adding testimony from a domestic violence advocate can help educate your judge. A recent study*** concluded that domestic violence advocates are the only professionals who have the training needed to recognize when domestic violence is present, which helps provide safety for both victims and their children. More and more domestic violence advocates are being trained to speak as expert witnesses in custody hearings. Safeguard the child from future abuse by not giving the abusive parent unsupervised visitation. Get the child exercise, psychological therapy, and give them anti-inflammatories (stress causes inflammation in the body, which can be overcome with anti-inflammatories). Because of these recommendations, the non-abusive parent should be the person assigned to make medical decisions for the child(ren). Allow the non-abusive, safe parent to give the child plenty of emotional support; therefore the safe parent should be awarded custody of the child(ren). What if your ex sexually abuses your child(ren) or gets full custody? Have you had to fight your abuser for your children in Family Court? If so, what was the outcome? There are also many domestic violence advocates (including me) available to be a listening ear. May God bless you all. *At the time of this writing, the family court system in the United States appears to be prejudiced against women, especially women who have been abused. If you are a male abuse survivor, you are likely to have an easier time getting custody of your children. However, taking the steps outlined here can also be helpful to you. **Johnston, Walters, & Olesen, “Is it Alienating Parenting, Role Reversal or Child Abuse? A Study of Children’s Rejection of a Parent in Child Custody Disputes,” The Hayworth Press, 2005.